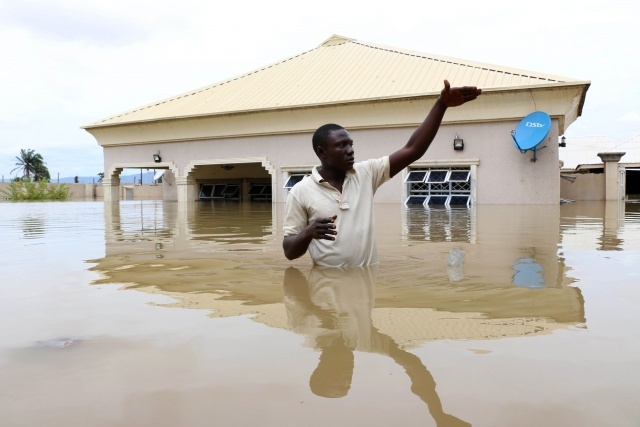 (AFP) - Nearly 200 people have died in flooding caused by heavy seasonal rains across 12 states in Nigeria, the country's main relief agency said on Thursday. NEMA said in its latest update that "large-scale flooding" since late last month "impacted 826,403 people". Of those, 286,119 had been made homeless. Shelter, food, medicine and other items such as mosquito nets were "priority needs", the report said. But he warned: "One of our biggest concerns following extensive floods like this is the threat of cholera and other diseases." Lack of sanitation, healthcare and clean water "could have deadly consequences" and add to the nearly 28,000 suspected cases of cholera reported across Nigeria since January, he said. Northeast Nigeria has also been the epicentre of Boko Haram's Islamist insurgency, which has left more than 27,000 people dead since 2009. Some 1.8 million are still homeless, with many of them living in makeshift camps as a result of the conflict.